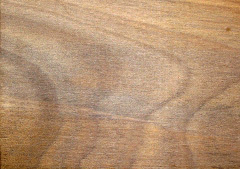 Puriri is also known as New Zealand mahogany, teak,oak or walnut. It is found in the northern North Island, from sea-level to 800 m above sea-level and tends to grow best on fertile or volcanic soils. 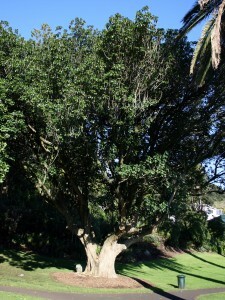 Puriri grow up to 20 metres high, with a trunk up to 1.5 metres in diameter, sometimes thicker, and a broad spreading crown. The thin bark is usually smooth and light brown in colour, and can also be very flaky. common) or sometimes even white with a yellow or pink blush. These flowers, and the resulting hard-cored fleshy fruit, provide food for native birds year-round. ear, for sore throats, and to wash the body of the deceased to help preserve it. Puriri trees or groves were often tapu (sacred) through their use as burial sites and Puriri leaves were fashioned into coronets or carried in the hand during a tangi (funeral). large portions of a log can be unsuitable for finished work due to the finger-sized holes bored in the growing tree by larvae of the Puriri Moth (Aenetus virescens). Only small quantities of Puriri timber are now available, mainly around Auckland and Northland, mostly used for wood-turning although old Puriri fence posts are recycled for garden furniture. The dark swirling figure of some Puriri wood makes it popular for turning. With sharp chisels it cuts and polishes well.